The Nikon 16mm f/2.8 is an ultra-wide-angle fisheye lens that creates dramatic full-frame images ideal for super-wide-angle special effects, interiors and close-ups. 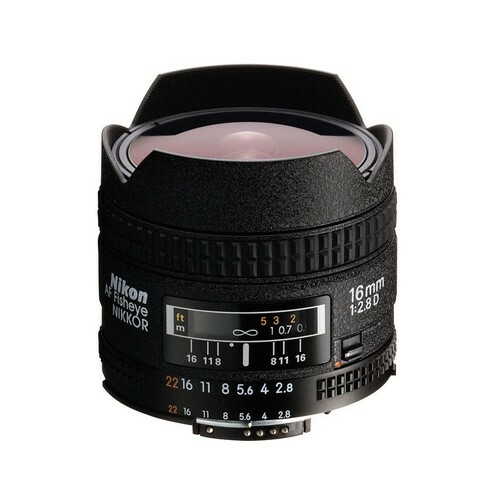 It is equiped with bright f/2.8 aperture for photographing in dim light or with fast shutter speeds.This lens has Nikon’s Super Integrated Coating for minimized flare and ghost, providing good color balance. Lens will be supplied with front and back cap and protective lens pouch.